Create a silky, breathable base with Revolution Pro Foundation Drops. Available in 18 skin-true shades, this ultra lightweight, water-based formula creates an undetectable finish on all skin tones. Explore the entire range of Foundation available on Nykaa. 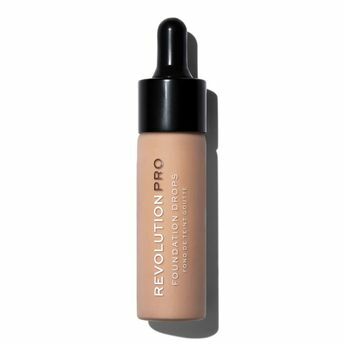 Shop more Revolution Pro products here.You can browse through the complete world of Revolution Pro Foundation .Alternatively, you can also find many more products from the Revolution Pro Foundation Drops range.